Meditation is a great tool to slow down in your hectic life and rebalance. Regular, daily practice of meditations benefits overall physical and mental health, helping you take time out of the chaos of daily life to focus on what’s happening internally in your mind. 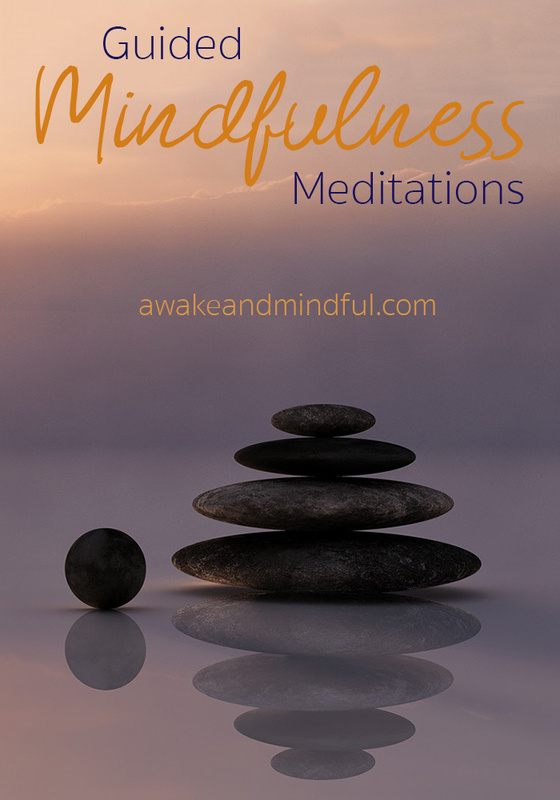 Mindfulness meditation, in particular, is very helpful for recalibrating your mind. It helps lower stress, reduce anxiety and depression, and also improves sleep quality. Many people feel like there is not enough time in their busy schedules to pause and check in. With work, family, and other obligations, people are stressed and unbalanced more than ever. The benefits of meditation are available with very little time commitment per day. In just 20 minutes you can experience the benefits of mindfulness meditation. This can be done at any point of the day: first thing in the morning, before bed in the evening, or even on a break at work. If you have a hard time quieting your mind to focus during meditation or you are newer to your meditation practice and need a little help, guided meditations are perfect to help you start a regular practice. You will receive the same benefits from a guided meditation practice that you would receive from meditating on your own. What is important is just taking the time to balance and check-in. Looking to find balance in your life? 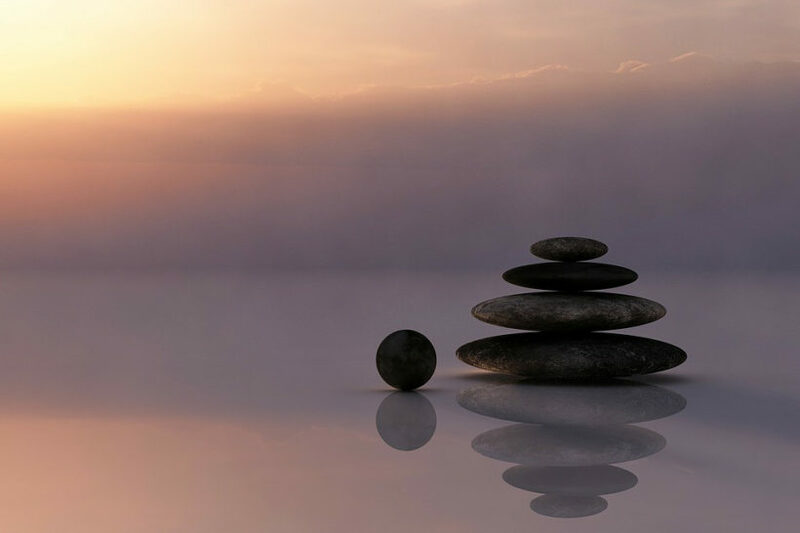 Here are five different guided mindfulness meditations you can try to help calm your mind and find inner peace. This guided meditation video from Michael Sealey helps to train your mind to bring acceptance and non-judgemental awareness to your thoughts. He says it helps with anxiety, depression, and stress relief. This video features only the sound of Michael’s voice, so if you find music or other backing noises distracting or annoying, you will enjoy this meditation. If you enjoy this meditation or prefer to listen to MP3 or CD, you can purchase this guided meditation on Amazon. This guided meditation is only 15 minutes long, but it’s focus on stress relief makes it great for people who need a quick break to check in and be present among the chaos of work or other responsibilities. This female led meditation by Vicki Panagotacos has a nice quiet music backing track that will help you realize you can handle anything because it will only last for that moment. This calming exercise is a less formal meditation. Jeremy Woodall allows for the listener to sit or lay down as they listen. Some people even use this meditation to help them fall asleep. It focuses on breathing and relaxing the entire body to bring awareness to any tension held in the body and any stressors that may be affecting you. This is another video that does not feature background music or sounds, so it’s a great choice if you like meditations that only feature the guide’s voice. On the opposite side of this spectrum, this audio features only music and calming sounds. With a focus on balancing your chakras, this meditation features the vibration of Tibetan bowls to help you relax your mind and your body, and help you balance and meditate. If you enjoy this guided meditation or prefer to listen to MP3 or CD, you can purchase other Tibetan bowl meditations on Amazon. This is another one that is only 15 minutes, but I think the focus on joy makes it worthwhile to include in this list. This meditation is perfect for those days when you’re feeling down on yourself, frustrated with your failings, or just need to connect and reset your mood and perspective. This audio features only the guide’s voice and no background music or sounds for a very peaceful and positive meditation. If you’re looking for a way to track your stress and use guided meditations and breathing exercises to calm down, check out meditation and stress trackers to help increase your mindfulness.